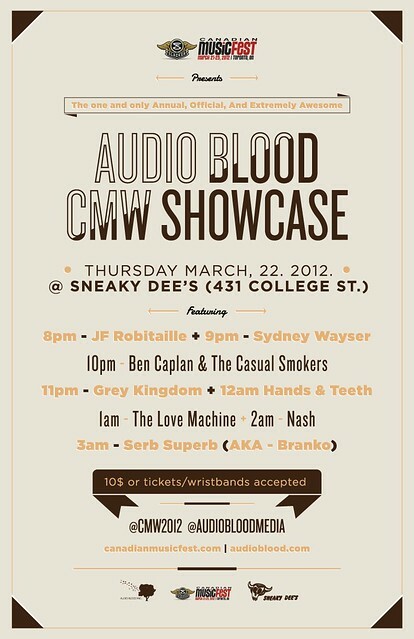 All You Need to Know about CMW 2012 at Sneaky Dee’s! 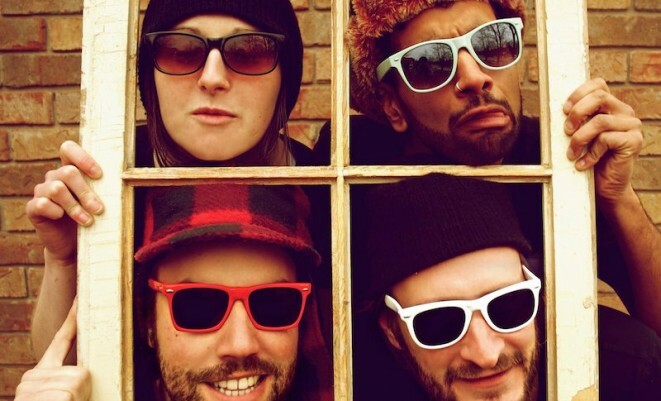 As you may or may not have heard, this week is Canadian Music Week! But isn’t that every week, you ask? That is quite true with all the amazing talent that exists in this wonderful country of ours. However, this week is going to be extra awesome because Sneaky Dee’s is bringing you tons of showcases, parties, and nachos! We kick off the celebrations on Thursday with the Audio Blood showcase, roll into the weekend with the East Coast Music Association Day Party and the Young Lions Music Club Showcase, and then finish everything off with an entire day of music on Saturday including the Travis Porter & LiveMusicTO showcase. Keep reading for the entire schedule and more. And if that isn’t enough for you, we also have a CMW King’s Crown Special. Available to CMW passholders, you can get a King’s Crown nachos for only $10. This is available all day Wednesday, and before 5PM on Thursday and Friday. To stay updated on CMW and Sneaky Dee’s follow along on twitter @CMW2012 and @TheSneakyDees or stay in the loop on Facebook. We hope to see you out!